Let the weight of glory come settle on us now…. I am learning to wait. Like most of us, I dislike wasting time. But I am learning in His Kingdom, time doesn’t flow in an earthy fashion. Sometimes we need to wait. Not because God isn’t instantly able to answer us, but because there are times where we are first meant to encounter His weight. The weight of His glory. When we sense how awesome and miraculous and wonderful and Holy and mighty He is, somehow regular time comes to a standstill, and the heavenly clock takes over. I can’t describe it any other way, but I have encountered it and was mightily changed as a result. 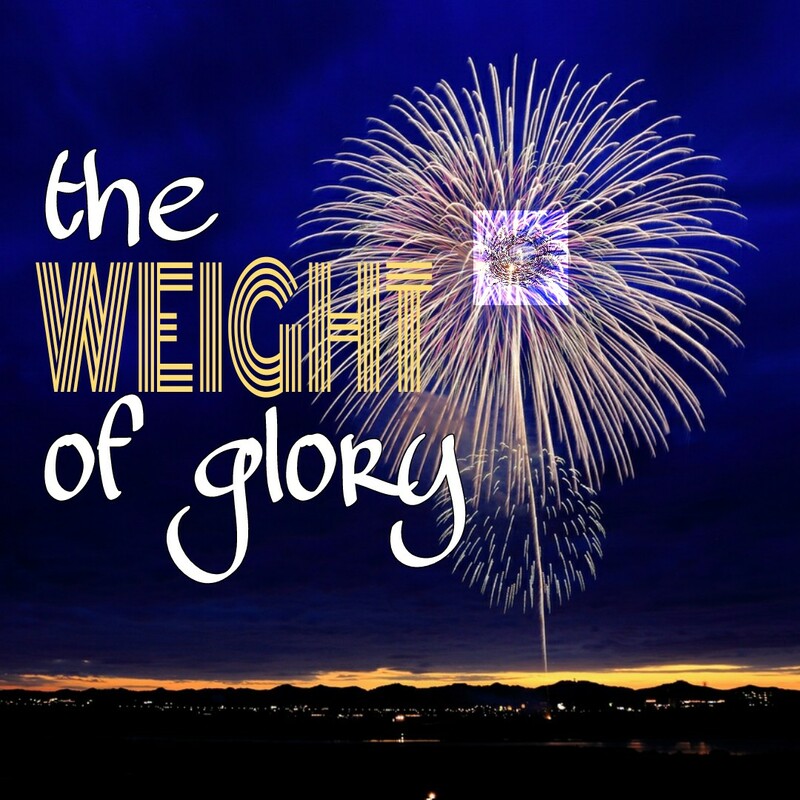 The first time I had a “weight of glory” encounter, I had just had a miscarriage, and both my hubby & I were still reeling from the aftershock. We ended up at a Vineyard service, and during prayer, I fell to the ground and God profoundly met me in that moment. I was not the same after His weight fell on me. I met God in a way I never expected, but am eternally grateful for. He instilled a peace beyond understanding, and calmed my spirit as He spoke into my life. This weight of glory? It is not a heavy one, the way we thing of excess weight, but a depth of understanding into who He is & how much He loves us which significantly blasts beyond normal relationship building. In heavenly encounters, God can do more in one minute than we can accomplish in a month. Another time, I was in a counseling session where God escalated the speed of my delivery from my past beyond what my counselors were expecting. Believers, they quickly caught on to what He was doing and joined in. I wasn’t aware of this being unusual, until the counselors revealed their surprise at the end of the session. He accomplished in three hours what they said would have normally taken several sessions to do. When God shows us, the unexpected becomes possible. If I had not been waiting expectantly for Him, I don’t believe i would have met Him in the ways I did. The weight of glory, encountering Him, is worth my wait, and yours. Are you weary of waiting? His Word promises us, reminds us several times, that He comes to those who wait upon Him. And His Presence will fall with the weight of His glory on His willing vessels, waiting to be filled.